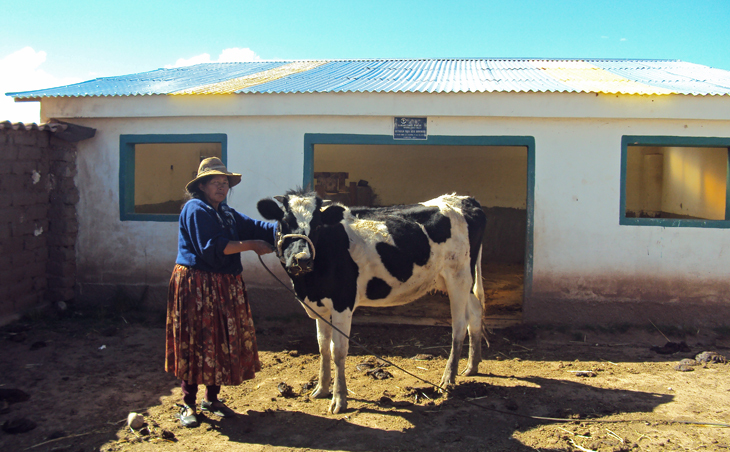 In another area of western Bolivia, a cheese processing plant helps community members with income. 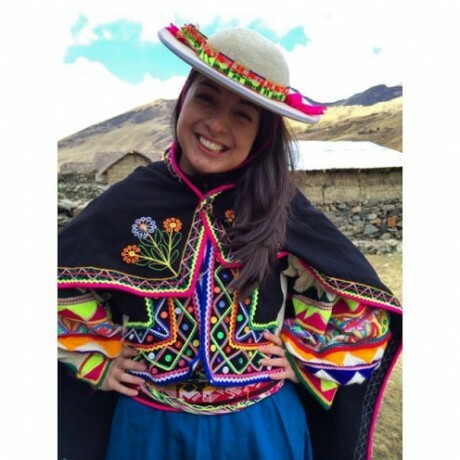 Paula Diaz was an intern with Samaritan’s Purse in Bolivia during summer 2013. I’m spoiled. I’m not “Daddy, will you take me to Disneyland in your private jet?” spoiled, but I’m spoiled in the way that I have three warm meals every single day, parents that work hard for my family’s future, and amenities that make my life more than easy. While I’ve always known that I’m spoiled with what I have, it never truly hit home until after a week in the mission field documenting what Samaritan’s Purse is doing in the municipalities of Chuma and Ayata in Bolivia. After a little more than five years in the municipality of Caquiaviri, Samaritan’s Purse has begun to plant roots in these new areas and to make a positive impact in an area that’s usually forgotten. Paula spent the summer in Bolivia learning about the Samaritan’s Purse projects in the country. My job for the week was to film different aspects of the programs to show all that Samaritan’s Purse Bolivia is doing and working toward in the area. I had no idea what I was going into other than what I had been told. I arrived at the Samaritan’s Purse field house in Chuma and woke up the next morning to no water or electricity. I was thankful I had been told to pack baby wipes in case of situations like this, but it still wasn’t enough to keep me from questioning what I was doing there. I immediately wanted to go back to the comforts of the city. But I had a job to do, a mission that needed to be completed, and I wouldn’t let my problems keep me from getting it done. So I sucked it up and went out to explore all that the municipalities had to offer. Off the bat, I was immediately impacted by the richness of the land. The views that I saw throughout my days astounded me. The beauty of God’s creation and the delicacy of His work were more than obvious in these municipalities. It was almost as if God had picked up His paintbrush and sprinkled the snow on top of the mountains or simply painted the sky with the deepest of blues He could find. Just as impressive were the hearts of the people in the area. After three weeks of translating Samaritan’s Purse success stories, I had the privilege of meeting several of the beneficiaries involved in them. From pastors trying to start up their churches to women raising children while their husbands were away in other cities working to provide, each individual was incredible and their stories unique. 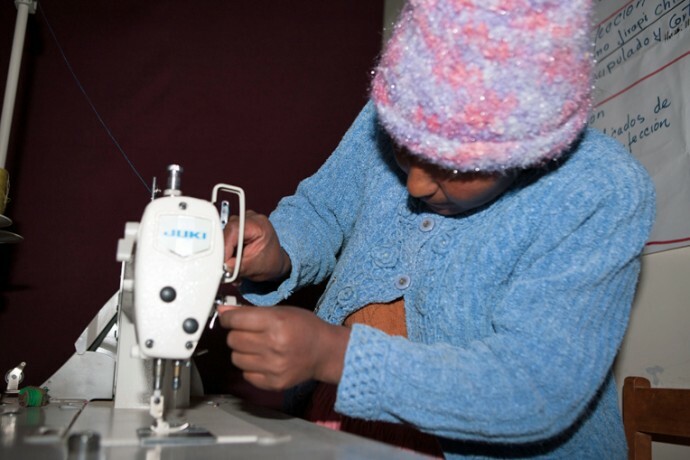 A project in western Bolivia provides women with sewing classes and materials, allowing them to make clothes for their families and to sell. One of the beneficiaries that impacted me the most was a father of 11 children. As a farmer, he had worked his entire life to do all he could to better the living conditions of his loved ones. He had sacrificed a lot to ensure they had the resources to continue living. The way that he continued to make sure his family had enough food and warm clothes was inspirational. His passion made me immediately reflect on my own father and the sacrifices he made to better the life of our family. While our story is different than this beneficiary’s, my father sacrificed a lot too. In 1999, he moved to the U.S. from Colombia and immediately began working several odd jobs in order to build a solid foundation for my family’s arrival in 2000. He has continually worked hard to ensure that all five of his kids and wife haven’t missed a meal or been in need. My trip to the mission field did more than just take me out of my comfort zone. This trip opened my eyes to the simplicity of how life could be lived if we were all thankful for what we already have. Life isn’t about having more than the person next to us; it’s about being content with what we have and doing something positive with it. Although first-world problems have always seemed like such a big part of my life, I’ve decided to move past them and really appreciate what I have. Of course, that’s easier said than done. Americans are so spoiled that we just want more and more. If you live for the materialistic, you’ll probably grow in that, but when it comes to your character, you’ll be nowhere. Take it upon yourself to make a change in your life. Be like the beneficiaries who make the most of everything they have and still smile. I may be spoiled with what I have, but beyond that, I’m blessed and want to live a life full of richness in character. I hope that everyone can learn to do the same. You can find out more about the Samaritan’s Purse internship program here.